Well, hey there! I can’t believe it’s been so long since I last posted a Recipes the World Forgot! That’s a travesty, really. If you’re new to this series, it’s one of my favorites! Since I’ve been blogging more than ten years now, I love highlighting some of the amazing recipes I posted back in the day that are now buried in the archives. They deserve another chance in the spotlight because they are still some of my favorite recipes ever! 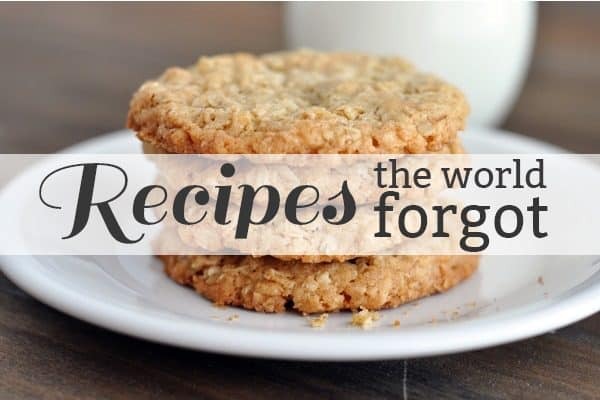 Today, I chose recipes dating before 2013 that I’ve actually made in the last two months. Of particular note: two of Brian’s favorite desserts are listed below. The Banoffee pie and Berries on a Cloud. Amazing, both of them. 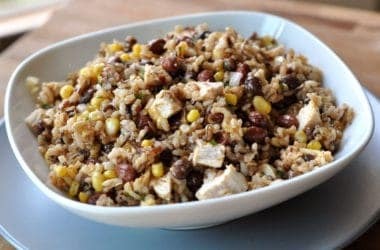 And that Southwest Rice and Bean Salad is one of my favorite dishes to take to potlucks – the flavor! Have you made any of the recipes below?? I love to hear which ones are new to you and which ones you’ve loved over the years, so comment below and let me know! I love it when you highlight recipe hits of the past, because I haven’t been around long enough to have noticed them before. We had the chopped taco salad the other night, and it is the best taco salad we’ve ever had. I think the Catalina dressing takes it over the top. I did season my taco meat well. I thought that might compete with the dressing, but it didn’t. It made for a very flavorful salad. I also made the chipotle tacos, and they were delicious. Now I need to work my way through the rest of these recipes lol. you have made our life so yummy. we cannot thank you enough. the thai salad is such a fave… I add mangoes and mix with chopped kale whenever possible (feeling rather smug and healthy) so I can eat something like carmel apple cheesecake bars or fudge brownies for dessert (feeling so content and joyous). so much love for you! I always love, love, love when you do these posts. They remind me of yummy things I forgot (which I guess, is the point, huh?) I think I have been following you since 2000, and I think I have made most of these. Soooo good! Banoffee pie is a stable at our Thanksgiving. My husband loves your oatmeal cookies. The chopped taco salad is a favorite and several years ago when I was YW president we had a cooking night(it was basically a Mel’s Kitchen Cafe night) and made your amazing romaine salad with candied nuts, your chipotle chicken tacos, your no bake cookies and your French bread pizza. They were all from that awesome college cookbook you made up several years ago. That has been a lifesaver for my currently 2 girls at BYU. Thank you for blessing our lives for many yummy years Mel! I first started following you about 2010, and I haven’t made any of these! I will change that soon! Yes, yes, YES to the Banoffee pie! I make it for Thanksgiving each year as my pie contribution because making traditional pie crust + me = ☠️ (). It is delicious and I may just have to make it now just because my mouth is watering! Thanks for always sharing the best recipes with us, Mel! Haha. Your emoji about pie crust had me giggling. But I make that banoffee pie for Thanksgiving too because it is so, so good! We love Berries on a Cloud! I definitely want to try the Banoffee pie. I hope you like the pie if you try it! One of my first and favorite recipes (that I have somehow forgotten for a year or more is the easy chipotle chicken tacos!!) It was one of the one that sealed my love for you, well, your food, but you too 😉 . Love them. I am going to the store to get what I need to buy to make them. Have to try the others!! Just mad the Banofee Pie last week for Pi Day Pie Off at work. Won second place, and I have the button to prove it! 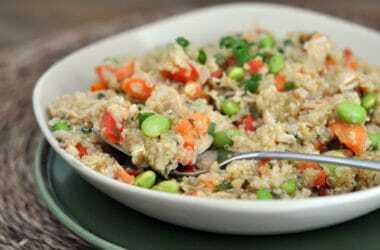 I always love the Thai quinoa salad. It’s so easy and yummy! 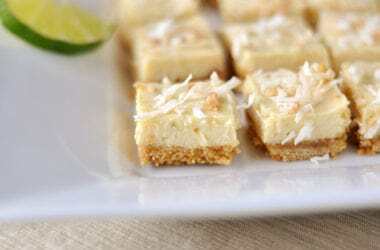 And I’ve made the key lime bars, but not for many years, sadly. I think I need to try berried on a cloud next. Looks so good! Yes! Try it, Hayley! 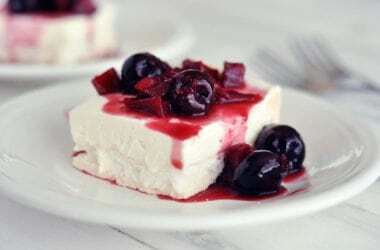 It’s such a wonderful dessert! We eat the chopped taco salad monthly! It’s the ONLY salad my daughter will eat & my husband loves the homemade Catalina dressing. Such a relief when there’s a recipe that the kiddos eat without complaining! I love the chopped taco salad and the Thai quinoa salad, we make them often in the summer especially. Yes! GREAT summer salads, both of them. Those chipotle chicken tacos are so dang good! I haven’t made them in a long time though! I printed off the recipe for that Banoffee pie years ago and have had it sitting at the front of my to-try recipes since. It is high time I do it! I love these posts you do! I hope you love it if you make it, Heather! It’s rich but so worth it! Those thin and crispy oatmeal cookies are totally to die for. I DO NOT like crispy cookies, however,these cookies are the exception. People should run into their kitchens right now and make these! I highly recommend them. I so agree with you, Cyndi! I am not a crispy cookie fan, but those cookies are something special. I’m glad you love that recipe so much! Regular limes make a great substitute! The Indian butter chicken is probably my favorite Indian-style dish I have posted on my blog…so I totally get it! Yes, I still make the Southwestern rice and bean salad often, it’s so versatile that it’s often different, but always delicious! I totally agree about that salad! 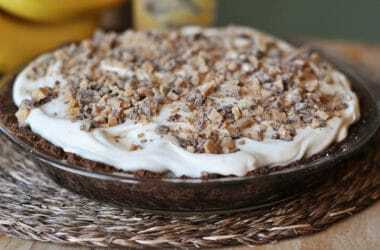 I just made your Banofee pie for Pi Day and it was a hit! Thanks for all the great recipes. Can’t wait to give these a try. 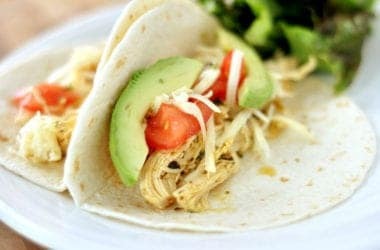 The chipotle chicken tacos are one of the only meals ALL of my family will readily eat without complaining. (kids are 8yrs-18mo) So we have it at least monthly. I don’t blame you. I find a meal like that, and seriously, it usually appears weekly. A miracle! My family loves the chopped taco salad! Yes, such a good one! We’re actually having Indian Butter Chicken for dinner tonight. It’s a regular at our house. Everyone enjoys it – even my picky kids. Wish I was at your house tonight, Wendy! Your Thai Quinoa Salad is a huge go to at our house all summer! We love it!! Yay, Lisa! Same here! And it makes me so happy knowing you love it, too! I Love the Indian butter chicken and Thai chicken quinoa salad! 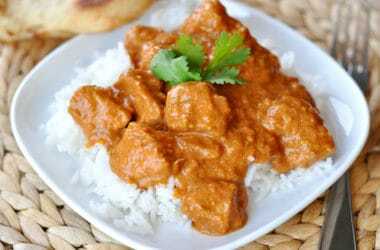 The Indian butter chicken is one I make often, I love it! I also made berries on a cloud recently for the first time. I made it in a pie plate, called it “Berry Angel Pie” and took it to a family pie-night. It was the hit of the party! Everyone devoured it (which was a big deal considering we had probably 15 pies there that night). I loved every bite. It will not be the last time this beautiful dessert appears on my table!! Now I need to try that taco salad! I love the idea of making the Berries in a Cloud in a pie plate, Kat! Thanks for suggesting that! The indian butter chicken is part of our regular rotation along with your flatbread. Yum! I’ll have to make those key lime bars soon, my 6 year old just discovered key lime pie and is in love! Oh yum, flatbread/naan with the Indian Butter Chicken is a match made in heaven! We made the key lime bars a couple weeks ago. They were delicious! Love your recipes! Mel, my family has been loving the Chopped Taco Salad since you first posted in 2013. The dressing ALWAYS gets rave reviews! And it’s super easy. I love hearing this! Thank you, Sidney! We make the Chopped Taco Salad all the time! We love it! I usually just pull out the ol’ bottle of Ranch dressing but the Catalina is great too. Yes, yes, going for the easy dressing happens here all the time, too! My seven-year-old boy says your taco salad may be his favorite meal! We ate it just last week! 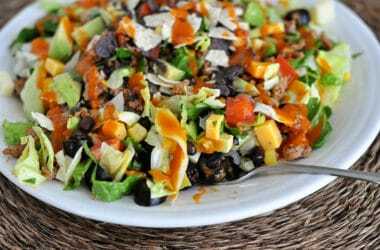 We season the meat with taco seasoning and we usually prefer this salad without the beans. That’s awesome!! Can’t complain when a 7-year old loves salad! I have made the banoffee pie – one of our family’s favorites! Happy to hear that, Patricia! Yum – Putting Banoffee Pie on my list for next week! I hope you love it, Christina! It’s rich but SO yummy!